It has been just over a fortnight since Pete and I returned back from a week of snowboarding in Arinsal, Andorra. What a brilliant time we had! 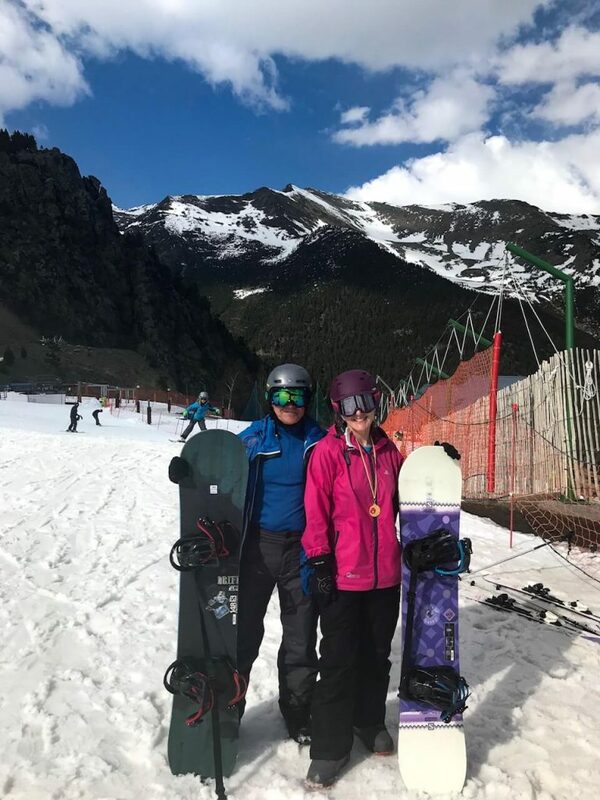 Our dalliance with the ‘dark side’ started about 18 months ago when we took advantage of a snowboarding taster session at the Snowdome, Tamworth for the bargain price of £10 each! This gave us an idea of the fun (and frustration) we could have learning to snowboard and so our journey began. Having grasped the basics at the Snowdome throughout the past few months we decided to ‘bite the bullet’ and book a snowboarding holiday. 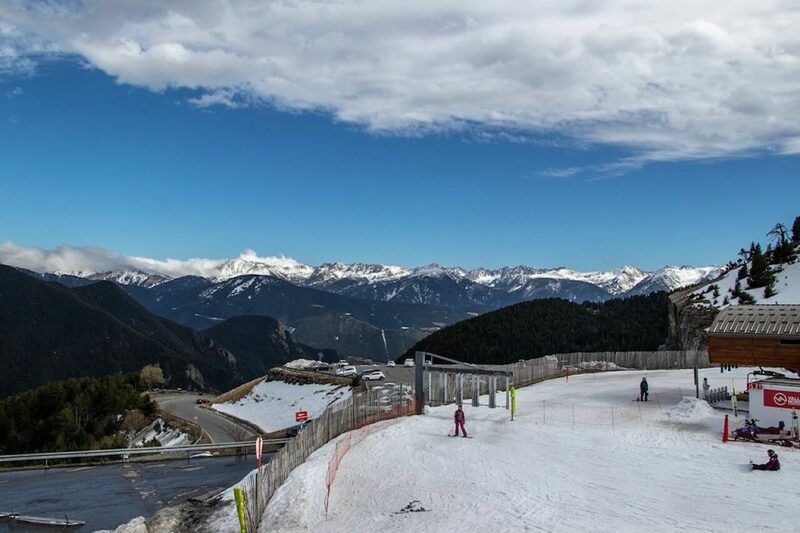 We opted to go to Andorra as it was rated as an excellent choice for beginners and improvers and we were not disappointed in our choice. 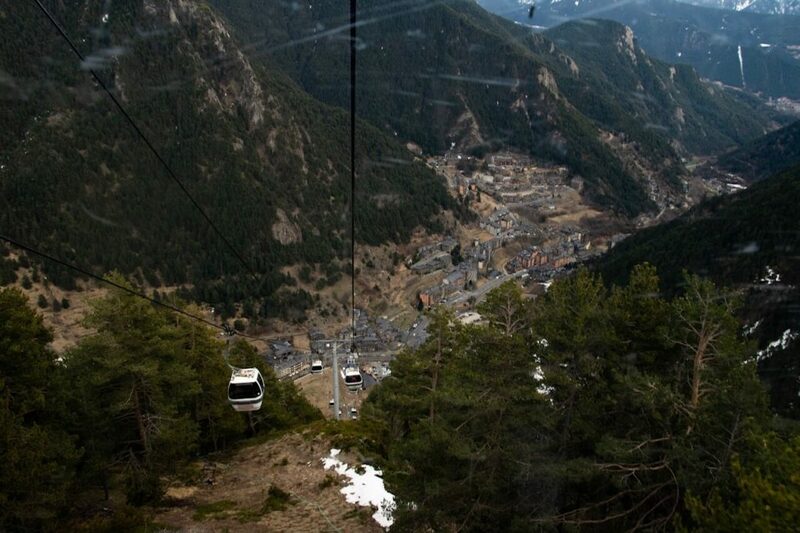 Andorra is a beautiful place. We were based in Arinsal, a lovely chalet town, surrounded by mountains. Each day taking the gondola up to the ski slope was a real treat as the views were amazing, the perfect way to start your day! Our week of lessons at Pal Arinsal Ski School was quite an experience but one that paid dividends, eventually! In total there was eight of us in our snowboarding group and throughout the week there was plenty of camaraderie, possibly united by our varying degrees of mystification as we all tried to master new techniques! Our fabulous instructor Rodrigo definitely put us through our paces. However, by the end of the week we all were far more accomplished than when we had started on the first morning. On our final day, we all went with Rodrigo to the top of the resort. This gave us the opportunity to get some fabulous views of Pic Negre plus riding down was a real high point. Particular mention needs to go to our fellow classmates Mike and Lauren, who not only attended the snow boarding lessons each day but also went to work every evening at the Derby Irish Pub, located in Arinsal town centre. Goodness knows how they managed it. Pete and I were in bed for 9.30pm most nights so we could get through the snowboarding lesson plus practice time each day! As an aside, for anyone visiting Arinsal, a trip to the Derby is a must. It has a great atmosphere, there is live music most nights and the place certainly rocks on a Friday night with its weekly ‘Party Night’. I think it is fair to say that Pete and I found our week in ‘snowboarding school’ to be something of a roller coaster ride. It was exhausting, frustrating, hard work but at the same time brilliant fun and well worth the effort! When you actually mastered a particular skill, it certainly felt amazing! Our week of lessons was rounded off by an Awards ceremony on the Friday afternoon. 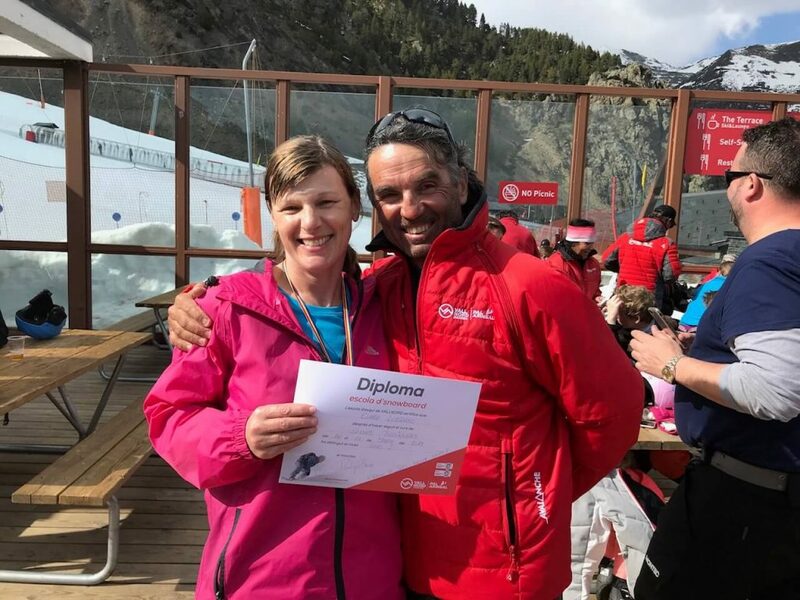 All who had attended the ski and boarding classes got together, a great opportunity to swop stories and celebrate the achievements of the week. I was delighted to be awarded the class medal for ‘never giving up’! Determination does indeed seem to be the order of the day when it comes to snowboarding! We were both sad to bid farewell to Arinsal and our boarding adventures but hopefully we will return next year. It was a fabulous holiday. We shared our time with some great people and who knows, our paths may cross again. And for any of you thinking of giving snowboarding a try, then I would say go for it, but be warned, it is addictive!! !